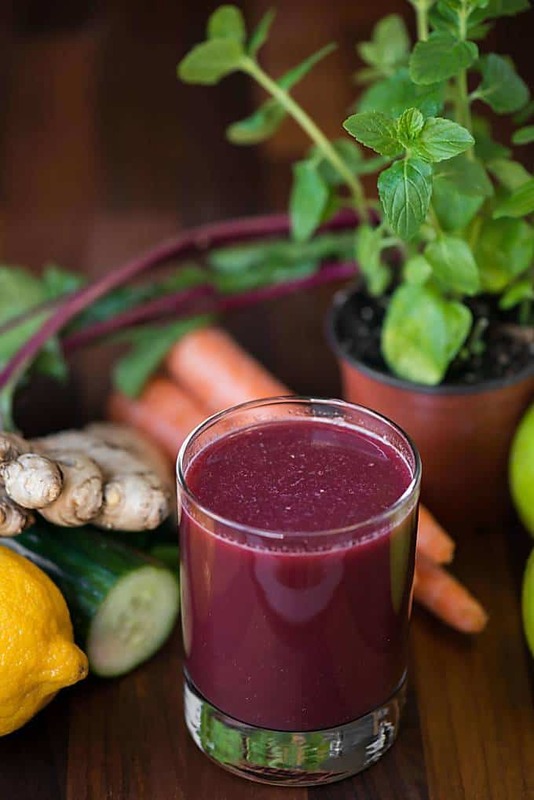 Treat your family to good health and start each day with a delicious glass of antioxidant and vitamin filled Fresh Pressed Juice! A few years back, we bought a juicer. I should actually say, we invested in a juicer. I say it was an investment because a) it was expensive, and I like to rationalize everything over $100 as an “investment” and b) it actually is an investment in our health. Juicing is a hard habit to get into. You have to have a lot of fresh ingredients on hand. You have to be willing to spend the money on produce that you’re going to crush up and reduce in size. You have to be willing to sacrifice your counter space and clean the darn thing every day. Let me tell you something – its completely worth it. Apples: Apples are extremely rich in important antioxidants, flavanoids, and dietary fiber. The phytonutrients and antioxidants in apples may help reduce the risk of developing cancer, hypertension, diabetes, and heart disease. Lemon: The health benefits of lemons are due to its many nourishing elements like vitamin C, vitamin B6, vitamin A, vitamin E, folate, niacin thiamin, riboflavin, pantothenic acid, copper, calcium, iron, magnesium, potassium, zinc, phosphorus and protein. Ginger: Ginger has a very long history of use in various forms of traditional/alternative medicine. It has been used to help digestion, reduce nausea and help fight the flu and common cold, to name a few. It has powerful anti-inflammatory and antioxidant effects. Carrots: Most of the benefits of carrots can be attributed to their beta-carotene and fiber content. This root vegetable is also a good source of antioxidant agents. Furthermore, carrots are rich in vitamin A, Vitamin C, Vitamin K, vitamin B8, pantothenic acid, folate, potassium, iron, copper, and manganese. Cucumber: Here is a short list of the impressive health benefits that a cucumber carries: they keep you hydrated, cucumber fights heat, it flushes out toxins, it nourishes you with vitamins, cucumber supplies skin-friendly minerals like magnesium, potassium, silicon, it aids in weight loss, and furthermore cucumber cuts cancer risk. Mint: The popular herb has several benefits which include proper digestion and weight loss, relief from nausea, depression, fatigue and headache, treatment of asthma, memory loss, and skin care problems. It is an herb that has been used for hundreds of years for its remarkable medicinal properties. 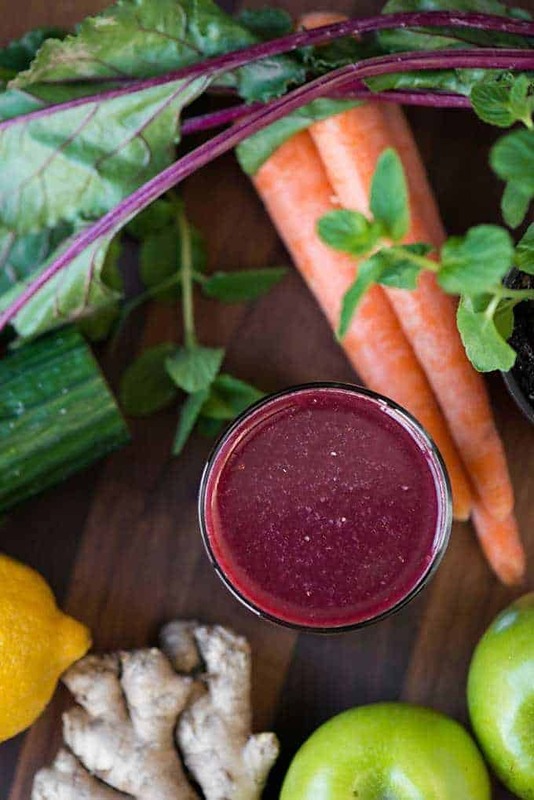 Beets: Beets are high in immune-boosting vitamin C, fiber, and essential minerals like potassium (essential for healthy nerve and muscle function) and manganese (which is good for your bones, liver, kidneys, and pancreas). Beets also contain the B vitamin folate, which helps reduce the risk of birth defects. When you combine all of those incredible health benefits into a tasty glass of juice, your entire family benefits! 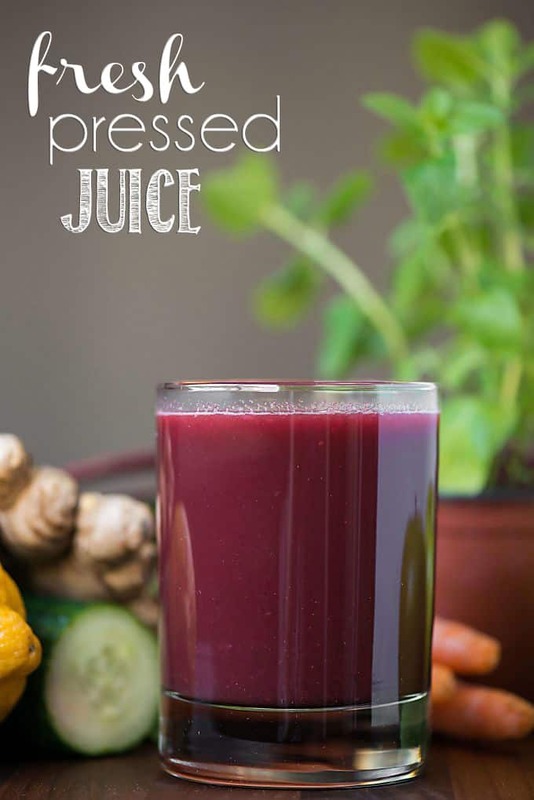 Watch the recipe video below of me making my Fresh Pressed Juice! 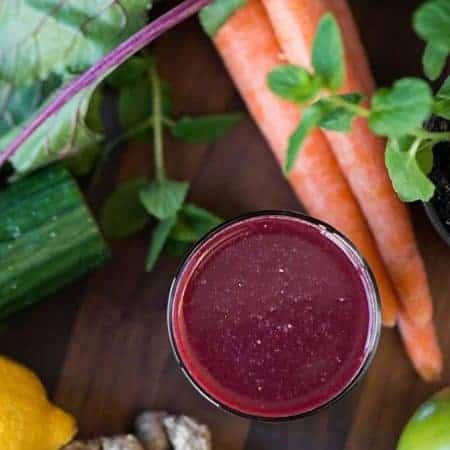 Run all ingredients through a juicer. Enjoy! Taste good and healthy. This juice is highly recommended. I really like this recipe. I didn’t have mint, but everything goes so well together. Tart apples definitely make this juice. I subbed one of the green apples for a gold and held off on the lemon because I didn’t want it to be too sour. Ended up only squeezing a little lemon in after juicing. Perfect and delicious! Thank you for sharing!